Before we even start talking about Song of Lahore, do yourself a favour. Go and watch the following video. This was the video that started it all. Sharmeen Obaid-Chinoy and Andy Schocken’s Song of Lahore is a documentary that chronicles the surprising journey of an ensemble of classically trained Pakistani musicians – from the troubled streets of Lahore, to the their moving performance at Jazz at Lincoln Center, New York. It is moving, touching, and even educational as we the audience join the musicians of Sachal Studios as they embark on their quest for excellence. For the first 20 odd minutes, I admittedly found myself struggling to find a focus in the material. Too many individuals were introduced into the narrative, without any context to explain to me why I should care about them. But before I could even begin to prematurely dismiss any story, I was hooked in by the sincerity in their music. It is by means of these different individual tales coming together cohesively in a flourishing moving music piece that the “Song of Lahore” blossoms into its own melody. 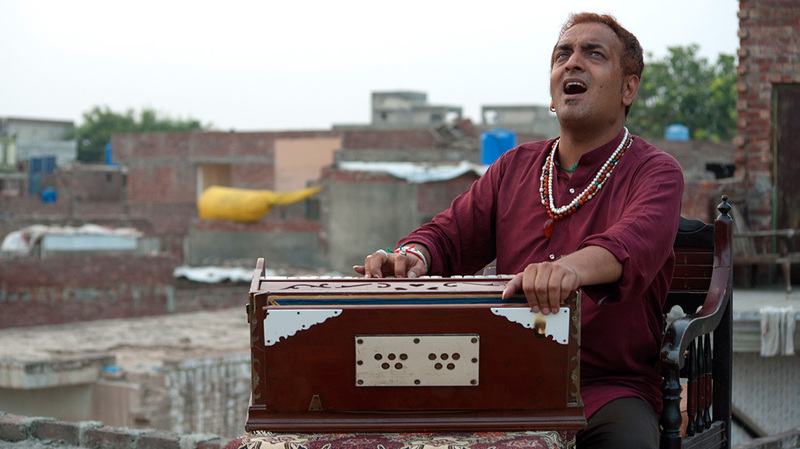 Like the jazz music the documentary is centered on, Song of Lahore is about the unwavering spirit of these Lahore musicians coming together against all odds of oppression, religious fascism, and even tyranny that almost killed their existence. Lahore has been one of the cultural landmarks of Pakistan, housing great musicians, artists, writers, poets and painters for thousands of years, until the late 70’s when Pakistan’s political atmosphere drastically shifted to become one of an Islamic republic. Since then, most art, particularly music, has been considered sinful. As a result, Pakistan’s once rich culture of art has diminished, as artists struggle to even make ends meet, and have resorted to doing other jobs. And yet, as Song of Lahore reminds us, the art hasn’t completely died – it has simply changed from being people’s careers to becoming a passionate hobby among those who are still trying hard to pass on their knowledge to the new generation, and even attracting new audiences by fusing traditional sounds with modern ones. Sachal Studios decides to drum up attention by posting a Youtube video playing Dave Brubeck’s Take Five with Pakistani instrumentation. The clip goes viral, and gives them the chance to perform in New York alongside Wynton Marsalis. Thus, the Sachal Jazz Ensemble is born. Originally content to remain obscure bearers of the Pakistani musical heritage, this opportunity brings the Sachal Jazz Ensemble to gain worldwide attention and truly hit its stride. It is Sachal’s chance to finally find the recognition they’ve missed out on, and also shows how a love of music transcends any barrier. It is heart-warming to see these men who are clearly past their prime, with their withered faces and grey hair, and still smiling wide with a passion so infectiously inspiring. And at the same time it is heartbreaking to think of how they have been deprived of what could have been. Born into a family of musical geniuses, and in a broken nation that looks down upon art, it has not just deprived these musicians from their future; it has deprived their nation of endless possibilities and the world of music greats. As neighbouring India almost takes cultural freedom for granted and takes pride in its geniuses – be it Ustad Amjad Ali Khan, Ustad Zakir Hussain, Pt. Ravi Shankar, Pt. Shiv Kumar Sharma, or even A.R. Rahman, Pakistan has only lost this opportunity to nurture its talented sons and daughters. As the Sachal gang walk down Times Square and enjoys street performers, one of them comments – “They are poor musicians, just like us”. It hit me hard. And then we see them singing “Country Roads, Take Me Home” with New York’s infamous Naked Cowboy. And it instantly brought a smile on my face, and surprised me how musical unity can come through in the most unpredictable of places. The final performance at the Lincoln Center acts as the culmination of all their struggles and their pure and unadulterated love for music. Even with all the tension of rehearsals and adapting a new genre of music, the performance is sensationally tremendous, impactful, and echoes with applause. But I found it a little too short, as I was left wanting for more (I was quite relieved to find out that some of the performances are available online on Youtube). The performance provokes tears of both pride and relief. I was left dazzled by these courageous seniors, and the melody stuck in my head. I felt spiritually refreshed and joyous, and with eyes full of tears. The optimism is consistent in Song of Lahore‘s overall tone and interest in perseverance. I cannot recommend this enough. Song of Lahore will stir you to the core. A Song of Lahore is part a double bill by South Asia’s only double Oscar winning director Sharmeen Obaid-Chinoy. Based in Karachi, her documentaries capture key social issues and great moments of contemporary Pakistani culture. Check out more of Sujoy‘s work at OneKnighStand and Bollypop!